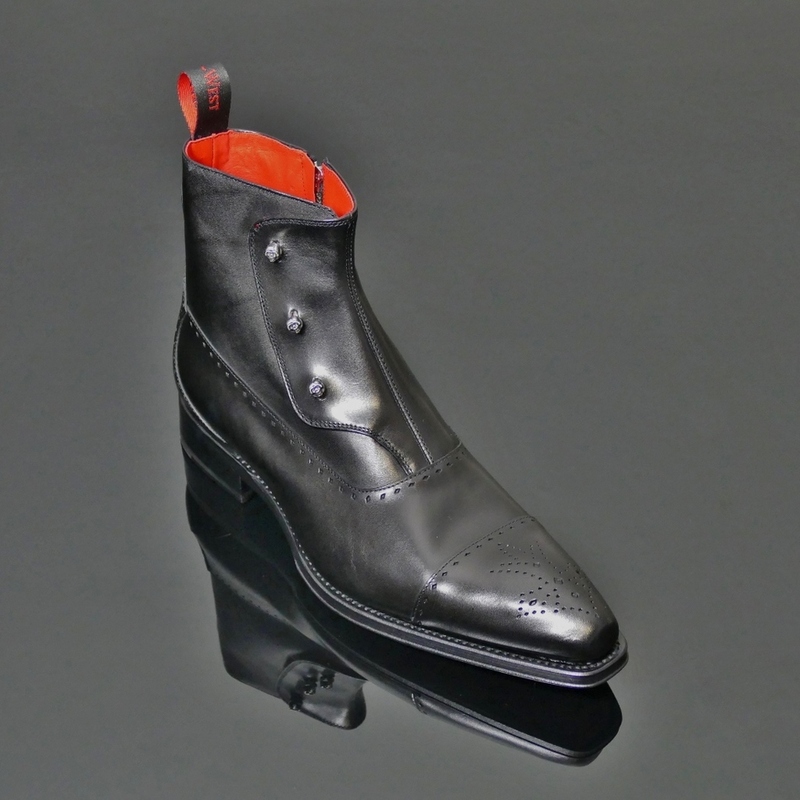 The 'Gargoyle' Spat Boot on the Lugosi last in Black Calf, adorned along the side with pewter skulls. 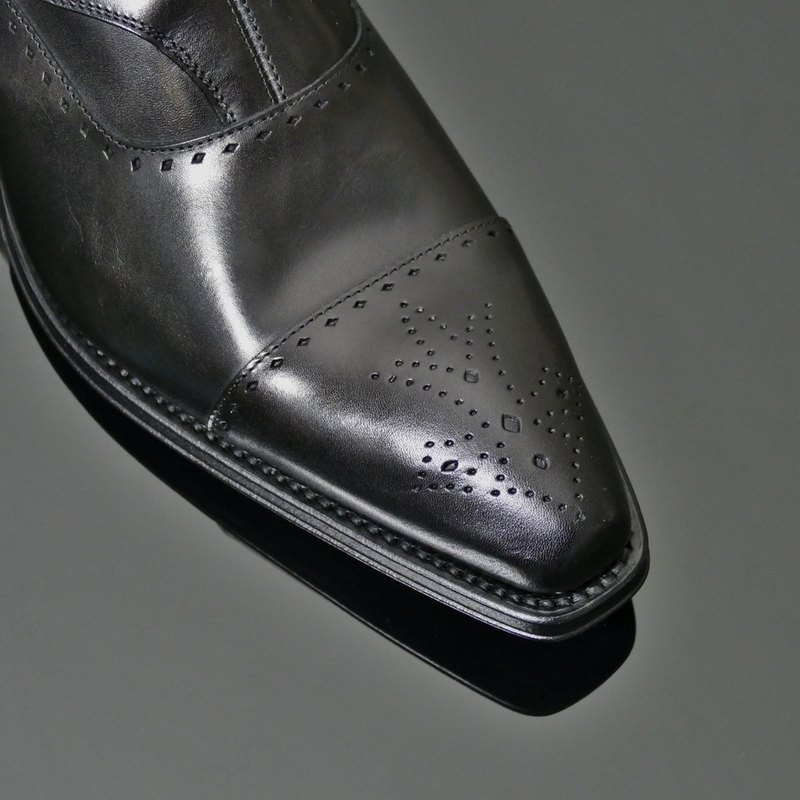 Also with our signature diamond punching, the Devil's Trident Toe Punch and contrasting red leather interior. 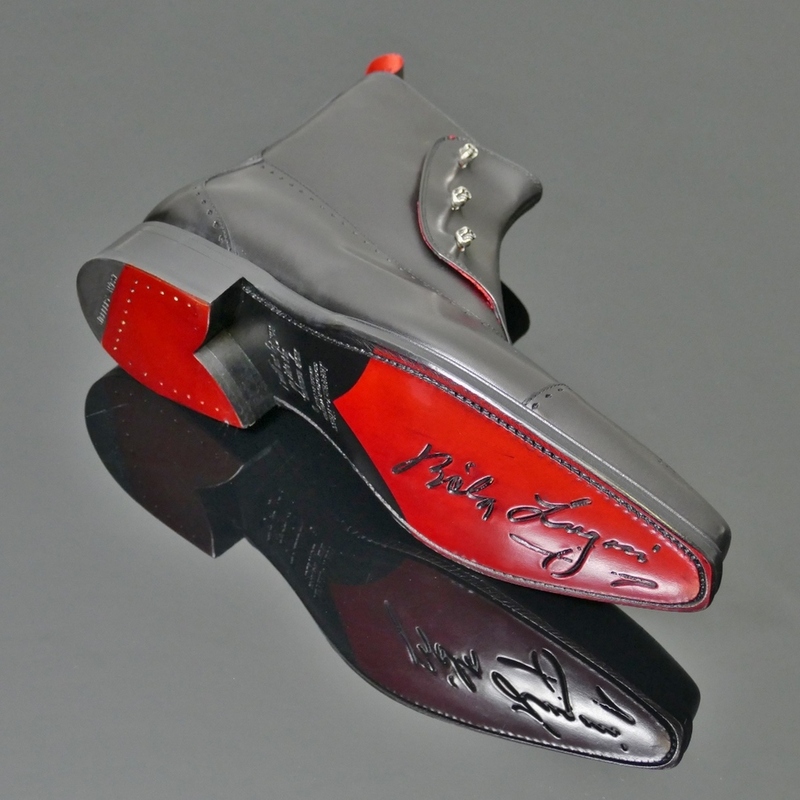 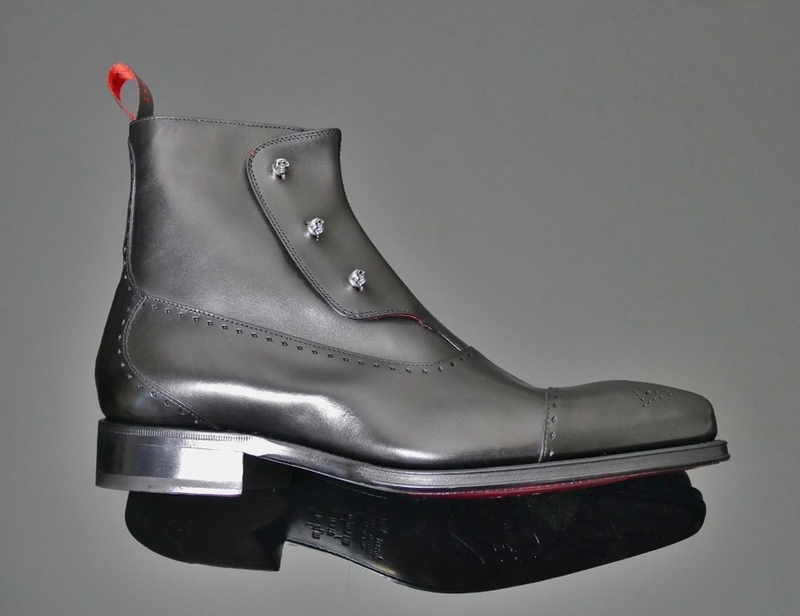 The red leather sole is emblazoned with Bela Lugosi's signature.